Ants are the unwanted home invaders. You see one or two ants and you know that soon there will be a trail of ants leading from their nest to inside your home. What can you do to get rid of them? Is there an effective natural ant repellant for your home? Nobody wants to finds insects in their homes, especially a place where you eat like in the kitchen. Unfortunately, the kitchen is usually the first place ants turn up. So what can you do? Chemicals, ants traps, or poisons? You probably don’t want chemicals and poison in the place you eat or anywhere in your home, especially if you have small children or pets. We have provided an alternate ant repellent. Natural ant repellant for inside your home. Peppermint Essential Oil – place a few drops on a cotton ball and wipe along baseboards and other entry points. Repeat every few days until the ants are gone. Clove Essential Oil – this oil is most effective when it is mixed with another oil. It is pretty strong so don’t overdo it, just use a small amount. Lemon or Orange Essential Oil – place a few drops on a cotton ball and wipe on baseboards and other entry ways. You can also leave a citrus infused cotton ball in cabinets or problem areas. Repeat as needed. Mix all ingredients in a spray bottle and shake vigorously. To use: Shake the spray bottle, then spray along the baseboards and flooring that meets the baseboards. If you need to spray on countertops do not use the tea tree oil just use peppermint oil. Repeat as needed until ants are gone. Vinegar Ant Repellant Spray – just like essential oils, vinegar will mask the ant’s scent trail. How to make: pour ½ cup water and ½ cup white or apple cider vinegar into a spray bottle. Add about 20 drops of essential oils. You can use peppermint or citrus. To use: shake the spray bottle vigorously to mix ingredients. Spray along baseboards, flooring, and countertops that have ant issues. Repeat as needed until ants are completely gone. Citrus Spray – once again this will smell great and you can enjoy the fruit and then just use the peels for this ant repellant spray! How to make – add peels to a pot then add enough water to cover all the peels. Heat until the water is steaming. Next, turn off the stove and allow to steep overnight. Strain out the peels and pour the remaining liquid into a spray bottle. To use: shake the spray bottle vigorously. Spray along baseboards, flooring and countertops where ants are an issue. Repeat as needed until all ants are completely gone. A clean home is a happy home. And a chemical free home is a healthy home. 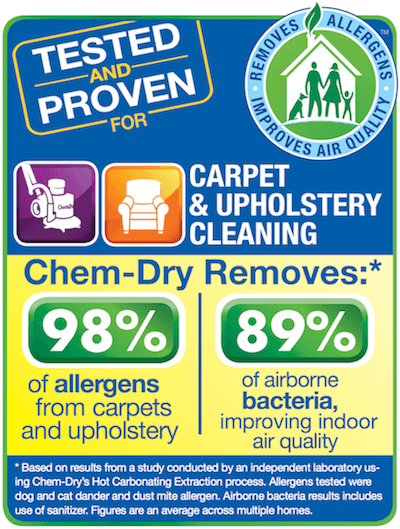 Chem-Dry of Aubrun/Lincoln carpet cleaning service takes cleaning naturally seriously. 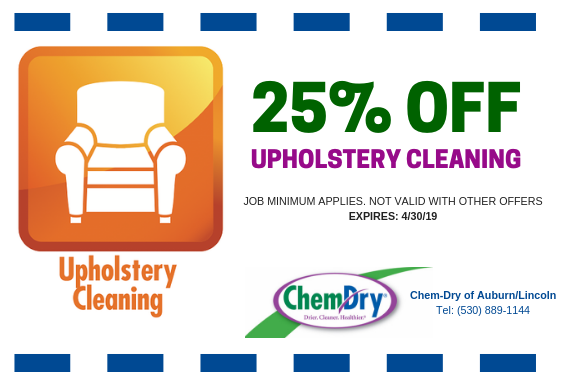 We do not use any chemicals or soaps to clean your carpets or upholstery. Instead, we use our green certified and 100% natural cleaning solution called The Natural. The Natural is not a soap or chemical. It actually uses the power of carbonation to lift dirt, dust, and stains to the surface. So it is safe for you and your family. 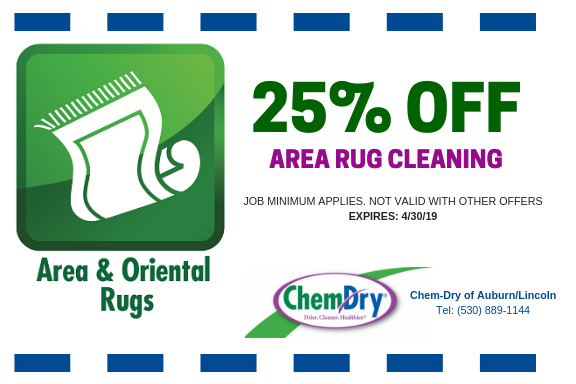 Other carpet cleaning services rely on soaps to clean carpet. The problem is soap is very hard to completely remove from carpet and if soap is left behind it will lead to a residue buildup and discoloration. In order to attempt to remove all the soaps, other carpet cleaning services will use gallons of water to rinse. Unfortunately, this rarely removes all the soap and leads to damp carpet for hours or days. 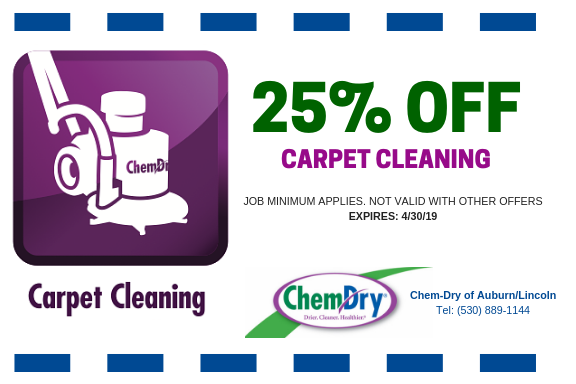 Carpets left damp will lead to mold or mildew growth. Since Chem-Dry of Aurbun/Lincoln does not use any soaps there is no need for all that water. Chem-Dry of Auburn/Lincoln truly is the Drier. Cleaner. Healthier choice. (530)889-1144.